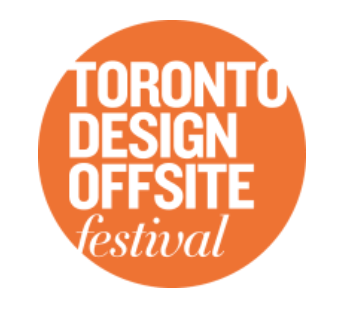 A giant piñata stuffed full of design promise and whimsy is coming to a midtown office lobby this month as part of Toronto Design Offsite Festival’s (TO DO) first ever foray into the midtown neighbourhood of Yonge and St. Clair, in partnership Slate Asset Management. A week’s worth of art and festival programming will be anchored by three immersive installations designed by leading, architecture and design firms Gensler, IBI Group and superkül. There will also be an exhibition by the Canadian National Institute for the Blind exploring the latest assistive technology for those who are visually impaired. Rounding out the programming will be two interactive sessions. The first is a talk called “Undo Toronto” where speakers from each of the participating design firms are bestowed the power to go back in time and undo one thing about Toronto, while proposing an alternative vision. The second is a tour of the area led by three of the city’s leading public art experts, Ilana Altman, the Director of Programming at The Bentway, Patricio Davila, Associate Dean at OCAD University and Anjuli Solanki, Director of Community Programs, STEPS Initiative. Slate is in a unique position to contribute to the ongoing revitalization of Yonge + St. Clair, having acquired 10 properties in the area, including all four corners, over the last four years. Since 2016, Slate has introduced a new 8-storey mural by international street artist Phlegm, and ushered in a series of public space improvements, including a Ravine Bench designed by participating design firm Gensler. At 2 St. Clair W, Gensler presents ‘#ohdeer.’ Inspired by the history of ‘Deer Park’ a giant deer piñata will be set up in the lobby of 2 St. Clair W. Each evening during the week the piñata will be lowered, leading up to the final night when people can reach its belly and open the piñata. More info. At 40 St. Clair W, superkül presents ‘Second Life’. Through a series of curated images, this installation considers and presents architectural and construction waste reframed as an opportunity. More Info. At 55 St. Clair W, IBI Group presents ‘The Space Between’. This evolving interactive lobby installation will incorporate both digital and analog elements that layer dynamic GPS mapping data with interactive analog components. Visitors and residents of the area are empowered to contribute their points of view as to how they interact with the public environment in the area they call ‘home’. More info.